Complex continues to knock out some of the best magazine covers to hit news stands this year. Pusha and Malice, better known as Clipse and the owners of Play Clothes, will grace this coming October/November issue of Complex. With the help of their good friend Kaws they managed to come up with this gem. Clipse collaborated with Kaws for their third studio album 'Till The Casket Drops that is set to release October 20th, 2009. In April of this year we got a little taste of the upcoming album in the form of "Kinda Like a Big Deal" which featured Kanye West and was produced DJ Khalil. 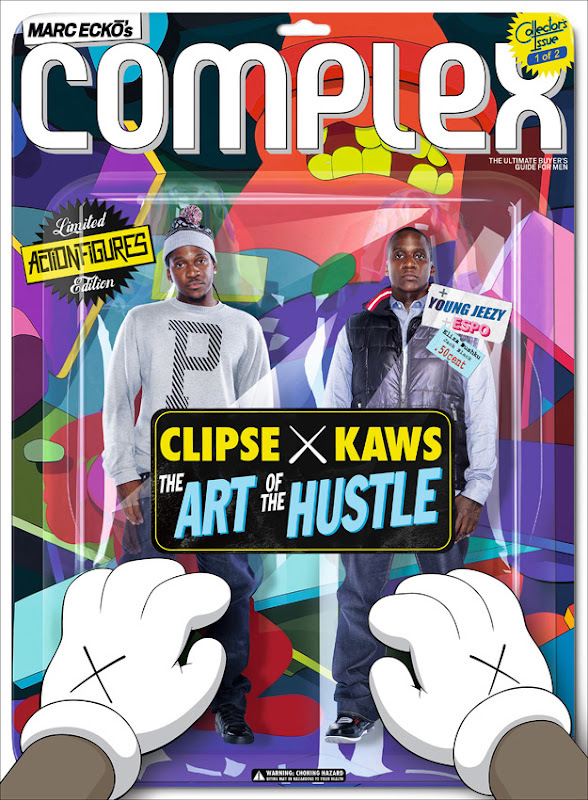 The collectible cover features Clipse in an action figure-esque packaging in a manner that only Kaws could pull off. To read more head here.